This entry was posted in Baja Living, Cabo San Lucas, Desert, flash Floods, Gardens/Plants, Hurricanes, Loreto, Mex 1 and tagged Baja, FLooding, Hurricane Odile, Power outages. Bookmark the permalink. I hope that at the very least the people are okay. Highway One. You are so right. Nothing can happen in the Baja if that highway is severely damaged. There will be no way in our out and everything will have to come by ship or plane. My village? I haven’t heard anything yet this morning, but I know it won’t be as tragic as the Baja. And more. I live in Southern Arizona, and were next! With the last storm, some areas got more than half their yearly typical rain. Our desert clay soil cannot handle that much rain. 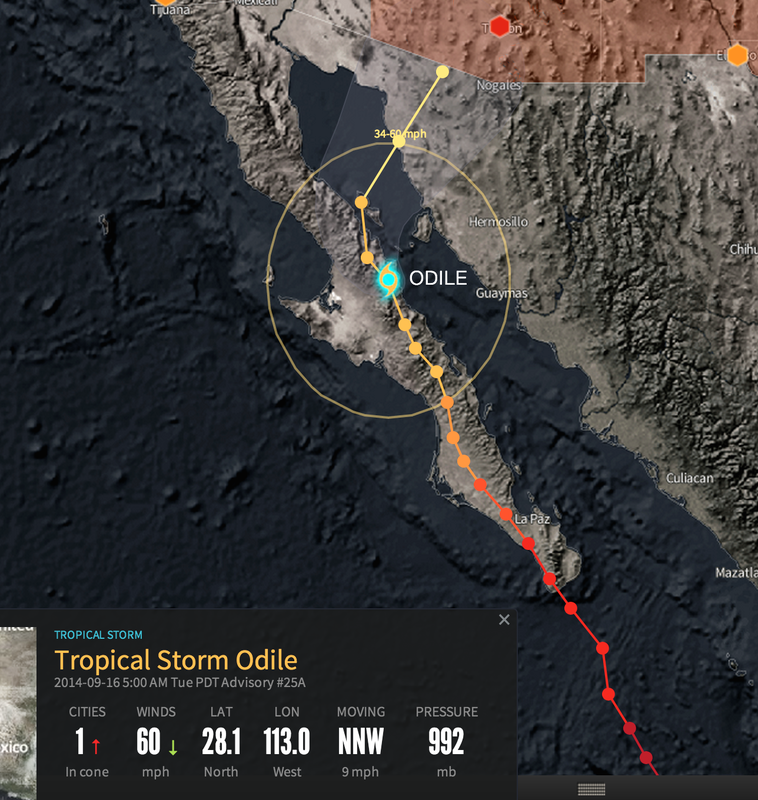 Right now, Odile’s path is straight for a Nogales, and that poor city has flooded three or four times already this year. Get the mop ready – and don’t drive into flooded roadways! Be safe!